A must read for each participant. Read Only. Pre-reading for CPR, LVR or Advanced Resuscitation course. (Please note:Internet Explorer users please right click on the link and select “save target as”). A wall chart with step-by-step instructions for administering correct Asthma First Aid procedure. First Aid guide for bites and stings. A poster step-by-step guide to First Aid for a choking infant. 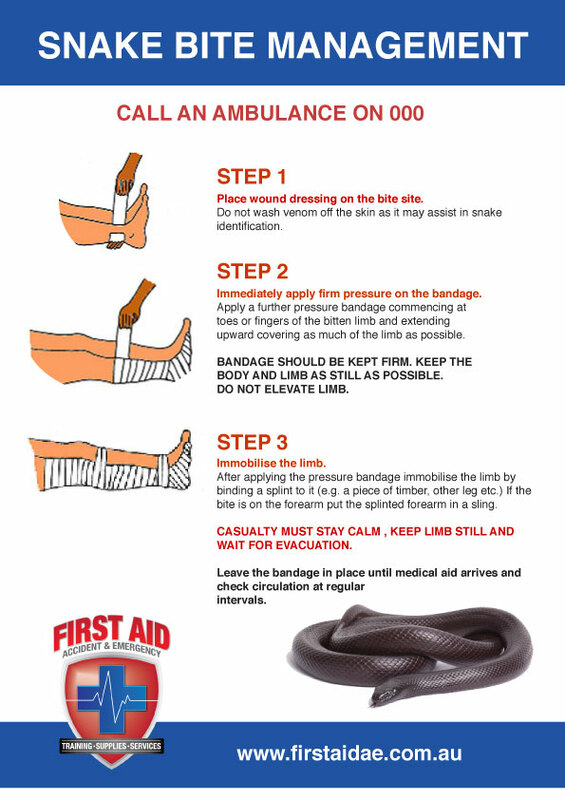 A visual and textual poster outlining step-by-step the correct First Aid procedure for a snake bite. A booklet guide to assist you with your course. Read Only. Pre-reading for First aid course, CPR Course, Education & Care First aid course and Asthma & Anaphylaxis course. (Please note:Internet Explorer users please right click on the link and select “save target as”). A wall chart outlining the DRSABCD procedure for construction sites. A handy form for recording injury incidents. Step by Step First Aid guide for Scalds and Burns. This link will bring you to the appropriate government page to create your USI (Unique Student Identifier). 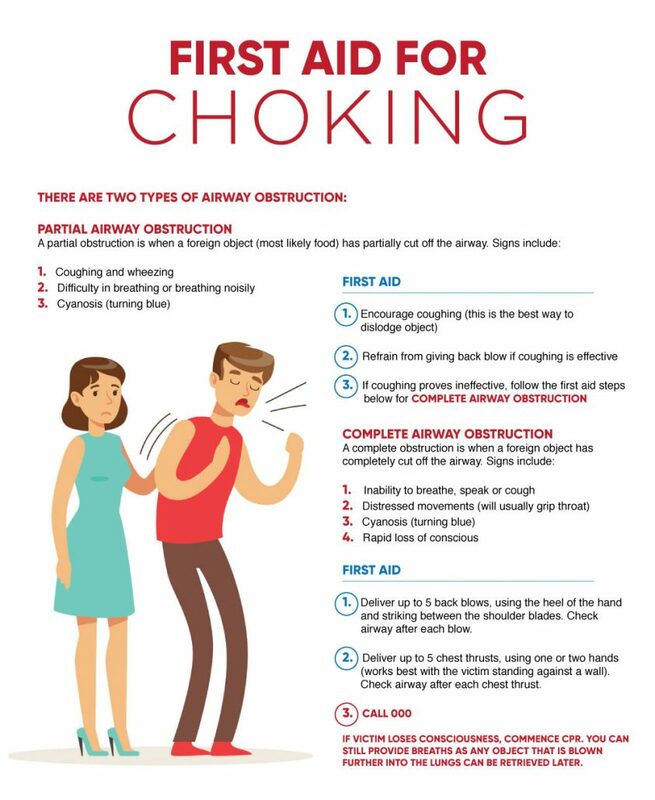 How to identify and administer First Aid to choking persons. 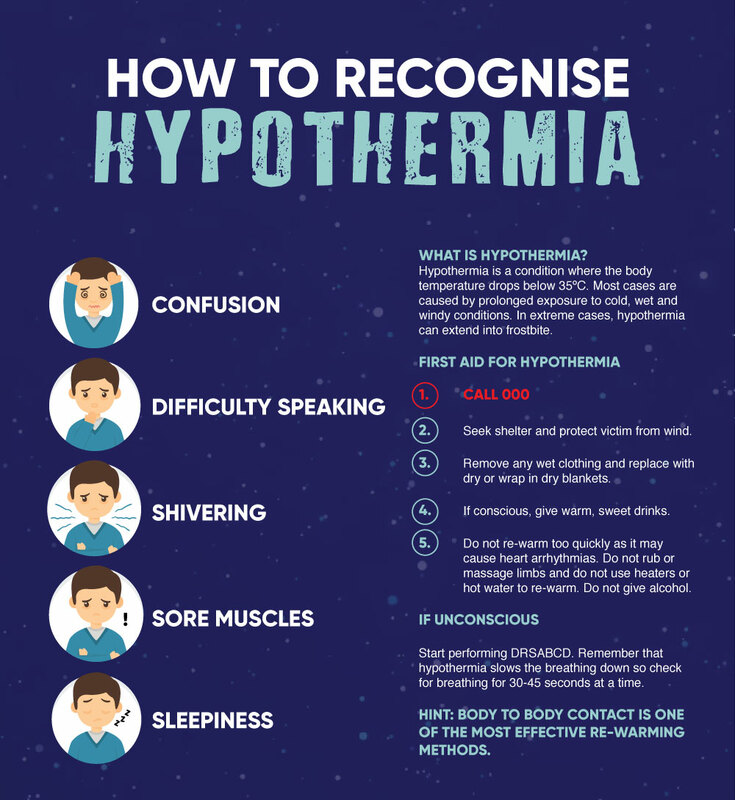 How to identify and treat the symptoms of Hypothermia. Helpful First Aid video tutorials that could help you save a life in the event of an emergency. This is how to set up your new HeartSine Samaritan 500p, 350p or 360p defibrillator out of the box. This video shows you how to unpack your device, insert the battery and check the device is working. FAAE also show you how to prep the device and carry case with the patient prep kit. Specially designed for use in public areas, the HeartSine Samaritan® PAD 350P is a sophisticated Semi Automatic defibrillator for adult or paediatric use, inside a lightweight and easy-to-operate system. This HeartSine 350P Semi Auto AED has the highest IPX rating on the market, this means that is recommended for outdoor, marine and aircraft industries. First Aid Accident & Emergency are an Australian distributer of HeratSine Defibrillators. This video gives you some basic training on how to use your HeartSine Samaritan 360p Defibrillator. This AED is specially designed for ease of use, the HeartSine samaritan® PAD 360P is a sophisticated fully automatic defibrillator for adult or paediatric use, inside a lightweight and easy-to-operate system. In this video we show you how to use the HeartSine Samaritan 500p Defibrillator, in conjunction with the basic life support guidelines DRSABCD. 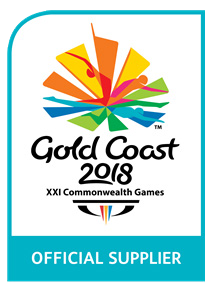 This video has been developed for the GC 2018 Commonwealth Games by Scott Whimpey, director and senior trainer from First Aid Accident & Emergency. Scott shows you how to use the LIFEPAK CR Plus automatic defibrillator and implement the Chain of Survival on a patient that is not breathing. Including CPR (compressions only), applying the AED pads, calling for help and what to do next. The key steps are 1) Call for help 2) Start CPR 3) apply the CR Plus Defibrillator 4) advanced medical treatment. Incorporating the units of competency 22024VIC Course in the Emergency Management of Asthma in the Workplace, 22099VIC Course in the First Aid Management of Anaphylaxis and Perform CPR HLTCPR211A. 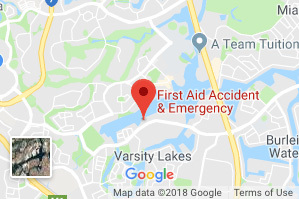 First Aid Accident & Emergency has an exciting package for the child care industry with our Gold Coast Anaphylaxis and Asthma training. Anaphylaxis and Asthma training is now a requirement from Childcare Australia. This video will show you what concussion is and how it happens, the signs of concussions and what to look for. Learn how to look after someone that has received a head knock and when to call for help by doing our extensive first aid course. It’s common for first aiders and first responders to get it wrong in a car crash situation. Here are some important tips on the do’s and don’ts when attending a Motor Vehicle accident (MVA). Please remember that airways and breathing are some of the most important things here! First Aid Accident & Emergency have put together an in-depth look at DRSABCD – BLS – basic life support, this video will show you everything you need to know about checking for danger, how to get a response, sending for help, checking airway and breathing including what happens to a patient when they arrest from a heart attack, breaths and compressions and compressions only, using a defibrillator and more. Here is Phil Soegaard , award winning golf course superintendent from Lakelands Golf Course. Phil and his staff have been trained by the team at First Aid Accident & Emergency for over 5 years, the Golf Course have also purchased 2 x CR PLUS Defibrillators and have placed one on the drinks cart and one in the club house. Golf courses are among the highest risks of coming across a heart attack, due to the physical activity and the general demographic of the golf players and clients- older age group. There have been several heart attacks on Australian Golf Courses in the past year, its recommended your gold course staff have basic CPR and Defibrillator training to handle any situation. 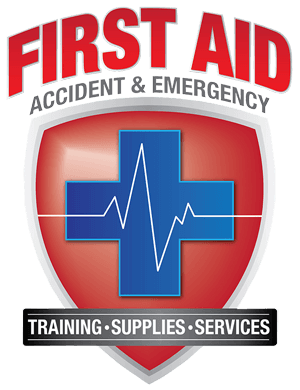 Phil recommends the training and service from First Aid Accident & Emergency. First Aid Accident & Emergency director Scott Whimpey is an expert in electrical rescue , with over 10 year hands on experience in the field. He will show you how to rescue a person from a live Low Voltage Switchboard and all the procedures. If you received a shock from a low voltage panel, this video will help you to perform a rescue and also conduct a full resuscitation on the patient using BLD and a defibrillator. *This video is not for training purposes but it may help in this situation. 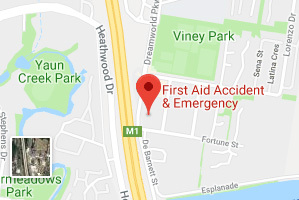 First Aid Accident & Emergency on the Gold Coast is the only Live training RTO of its kind for your team. We offer fun and interactive emergency training for seizures, CPR, First Aid, Anaphylaxis and asthma. Here is how to treat a seizure and learn at the same time. First Aid Accident & Emergency senior instructor, Scott Whimpey shows how to treat a snake bite live in a course. Man resuscitated in Gold Coast CPR course by First Aid Accident & Emergency trainer Wendy Sullivan. Thursday 29th October, 2015 was a standard day at the Varsity Sports House and First Aid Accident & Emergency (FAAE) a First aid and CPR course for 20 students as they have done for the past 10 years. CPR had been trained and lunch taken, the class had just kicked off into the afternoon session and was about to take a huge change of direction. Live scenarios were under way with role plays and snake bites being taught when Wendy Sullivan- First aid trainer noticed that one of the students was acting strange, he appeared to be snoring and turning blue. Peter Cary, a Varsity Sports House, Sailing club volunteer and student in the first aid course was now fighting for life and in the initial stages of a massive heart attack!